Double LP version. A brand-new studio album from Träden ("The Trees"), formerly known as Träd, Gräs och Stenar ("Trees Grass and Stones") in different incarnations, but often just called Träden for short. Through long, crescendoing improvisations, Träden has found their own unique path in the music world for decades, creating a music with room for everyone. Many younger musicians and friends of minimalist, experimental music have been inspired and followed, astonished that a bunch of Swedish hippies made the planet's most hypnotic, moss-fragrant psychedelic trance rock. Today, Träden consists of Hanna Östergren (Hills), Sigge Krantz (Archimedes Badkar), Reine Fiske (Dungen, The Amazing), and originator Jakob Sjöholm. Nisse Törnquist (Amason) also plays on three of the songs. In this latest, celebrated edition, the band has played for sold-out houses all over Sweden and other parts of the globe. "When we decided to record and release a new album it's the people who are now in the group that plays on it. We have become a band again in the way that we can once again get out and gig more regularly. The name change is a way of freeing ourselves from the old band and its idiom, thus opening our minds to let the music find new ways, simply giving us more artistic freedom," explains Jakob Sjöholm. The new album was recorded at Träden's countryside music workshop and in good old TGS tradition, much of the material emerged by jamming. Then there are some songs that demanded some toil and despair. It has been a process where everyone in the band has been deeply involved throughout the course of work, in all stages of the production; from the first musical notes to the last choice of colors and images for the album sleeve. The music on the new album makes one to let go and be swept along in a soaring, endearing ecstasy, and be thrown into a wild but safe forest. Even though the band constellation has changed successively, the majestic roar continues. Sometimes the loudness is lifted out to the big, eccentric carpentry and chopped down to a nice "tree porridge". Or on contemplatively growing songs, where the guitars' winding and whirling calls to the very highest air bearings. Many fans describe Träden's rough-cut music in almost spiritual terms. Träden answers with some mighty songs where the band reaches the mind-expanding oscillation that seems to only occur in their music. A brand-new studio album from Träden ("The Trees"), formerly known as Träd, Gräs och Stenar ("Trees Grass and Stones") in different incarnations, but often just called Träden for short. Through long, crescendoing improvisations, Träden has found their own unique path in the music world for decades, creating a music with room for everyone. Many younger musicians and friends of minimalist, experimental music have been inspired and followed, astonished that a bunch of Swedish hippies made the planet's most hypnotic, moss-fragrant psychedelic trance rock. 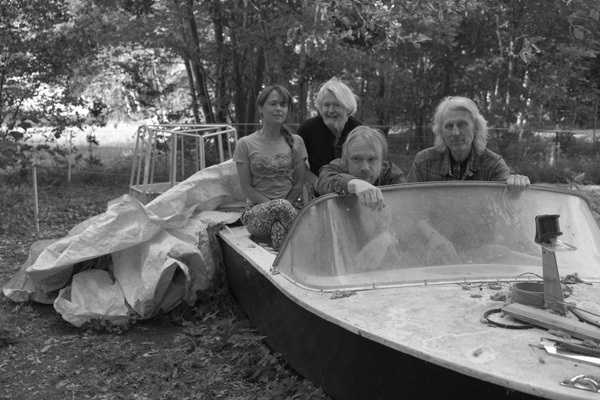 Today, Träden consists of Hanna Östergren (Hills), Sigge Krantz (Archimedes Badkar), Reine Fiske (Dungen, The Amazing), and originator Jakob Sjöholm. Nisse Törnquist (Amason) also plays on three of the songs. In this latest, celebrated edition, the band has played for sold-out houses all over Sweden and other parts of the globe. "When we decided to record and release a new album it's the people who are now in the group that plays on it. We have become a band again in the way that we can once again get out and gig more regularly. The name change is a way of freeing ourselves from the old band and its idiom, thus opening our minds to let the music find new ways, simply giving us more artistic freedom," explains Jakob Sjöholm. The new album was recorded at Träden's countryside music workshop and in good old TGS tradition, much of the material emerged by jamming. Then there are some songs that demanded some toil and despair. It has been a process where everyone in the band has been deeply involved throughout the course of work, in all stages of the production; from the first musical notes to the last choice of colors and images for the album sleeve. The music on the new album makes one to let go and be swept along in a soaring, endearing ecstasy, and be thrown into a wild but safe forest. Even though the band constellation has changed successively, the majestic roar continues. Sometimes the loudness is lifted out to the big, eccentric carpentry and chopped down to a nice "tree porridge". Or on contemplatively growing songs, where the guitars' winding and whirling calls to the very highest air bearings. Many fans describe Träden's rough-cut music in almost spiritual terms. 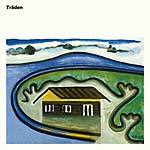 Träden answers with some mighty songs where the band reaches the mind-expanding oscillation that seems to only occur in their music.